Attorney Mitchell Garabedian called for Pope Francis to outline what measures the Catholic Church will take and for the release of documents relating to sexual abuse in the church. Pope Francis condemned the sexual abuse of children by Roman Catholic clergy in an unprecedented letter Monday to the church’s 1.2 billion followers, but many Catholics remained skeptical that the scathing statement will lead to lasting systemic change. “We showed no care for the little ones; we abandoned them,” the pontiff wrote, describing the abuses as “crimes” in his 2,000-word letter. But for parishioners and clergy who have been battered by yet another revelation of widespread, decades-long abuse — this time by a Pennsylvania grand jury reporting last week that at least 1,000 children had been abused by 300 priests over 70 years — the pontiff’s words left many wondering whether real reform will follow. At the least, many said, greater transparency and more accountability are needed in a church that has resisted scrutiny. 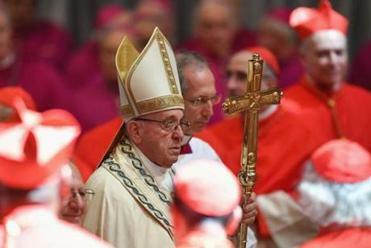 The pontiff, reacting to the report issued by a Pennsylvania grand jury, criticized the “crime” of covering up abuse. “The pope was very eloquent in this letter, but we’ve heard similar words in the past,” said Nick Ingala, spokesman for Voice of the Faithful, a Massachusetts-based lay group created in 2002 in the wake of the burgeoning sexual abuse crisis. That outrage was reflected in a national petition signed by more than 2,800 people as of Monday evening, calling for all US cardinals and bishops to offer their resignations following the latest revelations from Pennsylvania. “The catastrophic scale and historical magnitude of the abuse makes clear that this is not a case of ‘a few bad apples,’ but rather a radical systemic injustice manifested at every level of the church,” the petition reads. The petition was signed by Monsignor Paul V. Garrity, pastor of Sacred Heart and St. Brigid parishes in Lexington. “What’s taken place in the life of the church today has been horrific across the board, and I think it would be really important for the bishops to make a grand statement about that,” Garrity said in an interview Monday. Boston City Councilor Matt O’Malley, a practicing Catholic from West Roxbury, also signed the petition. “It’s important not only to say the right things, but action needs to be taken as well,” O’Malley said. The call for mass resignations in the United States followed a similar offer this year by all 34 bishops in Chile following a sexual abuse scandal there. Francis accepted the resignation of five of the bishops. The pope’s letter also followed a firestorm that led to the resignation in July of Cardinal Theodore E. McCarrick, the former archbishop of Washington, D.C., following reports that he had sexually assaulted minors and abused seminarians. Boston Cardinal Sean P. O’Malley apologized Monday for the way his office handled a 2015 letter containing allegations against McCarrick. O’Malley said in his apology that he never saw the letter and that it was handled by a staff member who told the accuser, now a priest in New York, that individual cases such as McCarrick’s were not handled by the Pontifical Commission for the Protection of Minors, which O’Malley leads. In echoes of past scandals, church officials pledged to do better. On Monday, the US Conference of Catholic Bishops said Francis’ letter “must provoke action, especially by the bishops,” according to a statement issued by Cardinal Daniel N. DiNardo of Galveston-Houston, president of the conference. “On behalf of my brother bishops, I offer that only by confronting our own failure in the face of crimes against those we are charged to protect can the church resurrect a culture of life where the culture of death has prevailed,” DiNardo said. However, some prominent critics were not persuaded that significant reform is coming. 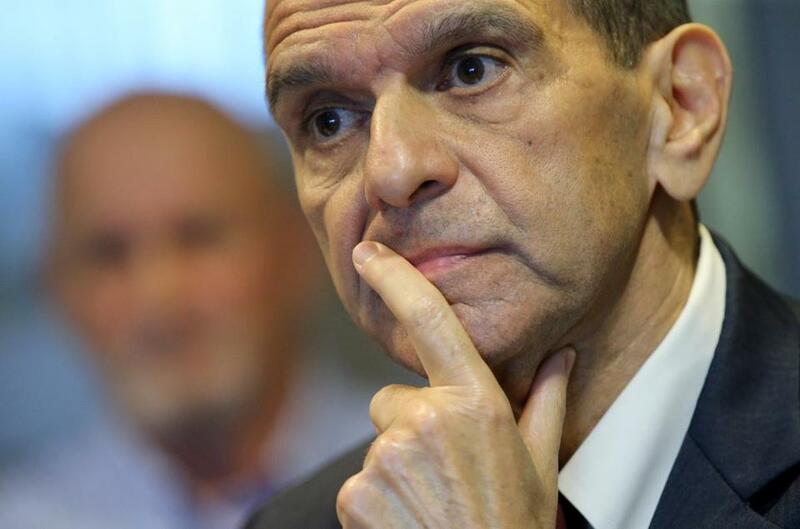 Mitchell Garabedian, whose civil lawsuits against the Archdiocese of Boston helped launch an international examination into abuse by priests, said in a statement that the pope is failing to make the church fully accountable. “The statement of Pope Francis does not explain why tens of thousands of children were knowingly sexually abused over decades, what actual measures will be taken to effectuate change, and why transparency through the global release of Catholic Church documents will not occur,” he wrote. Separately, abuse survivor David O’Regan, who runs the Boston chapter of the Survivors Network of Those Abused by Priests, wrote in an e-mail that the pope and those who led the church before him are choosing to protect the organization at the expense of its most vulnerable members. “Fixing the abuse problem is not rocket science . . . and does not require the people of God to pray and fast,” he wrote. The church now needs to put legal and canonical systems in place to hold bishops accountable and remove them from office when needed, Groome said. He also praised Francis for questioning whether a culture of “clericalism” — a detached and pedestal-like status for the clergy — has hindered its transparency. From the pope to the neighborhoods, the latest scandal has shaken the church again. Father Richard C. Flaherty, a Franciscan priest at St. Anthony Shrine in downtown Boston, shook his head slightly when asked about the fallout. Brian MacQuarrie can be reached at brian.macquarrie@globe.com. John R. Ellement can be reached at ellement@globe.com. Follow him on Twitter @JREbosglobe.